Born as a public housing tract on Milwaukee’s northwest side, Westlawn was originally developed in the 1950s to provide affordable dwellings for families. Referred to as “barracks housing,” the site’s buildings were inefficient, undersized for many families in need, and isolated residents from surrounding neighborhoods through poor community design. 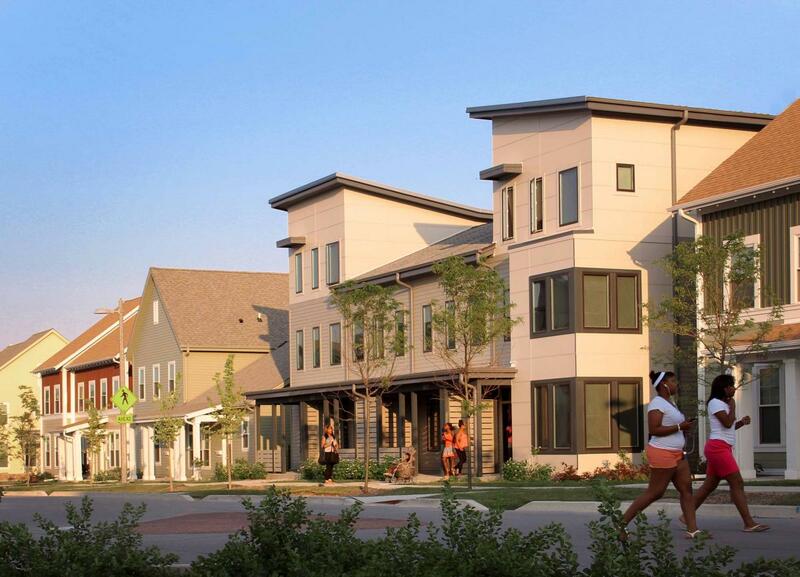 Today, thanks to support from the largest affordable tax credit award in Wisconsin history, Westlawn has been redeveloped as Westlawn Gardens—with a mix of multifamily buildings, townhouses, and single-family homes for more than 300 residents. Houses are 100-percent leased, providing essential stable shelter for the mixed-income neighborhood, according to the city Housing Authority. Residents spending time on their porch. Source: Courtesy of Torti Gallas and Partners. Basic infrastructure like sidewalks, lacking in the old barracks housing, has been provided along with alley parking to improve walkability. The former superblock scheme was organized into real blocks, similar to older Milwaukee neighborhoods. The streets feel like public spaces and the houses relate well to the street, with porches and stoops and balconies. This view shows the neighborhood's walkability. Source: Courtesy of Torti Gallas and Partners. All buildings meet LEED for Homes Platinum certification requirements and the entire project was awarded a LEED for Neighborhood Development Silver rating. The new Westlawn Gardens plan also employs innovative stormwater strategies, plus a 30,000 square foot community garden. Future phases of the development are planned to more than double the available housing and add market rate homeownership. 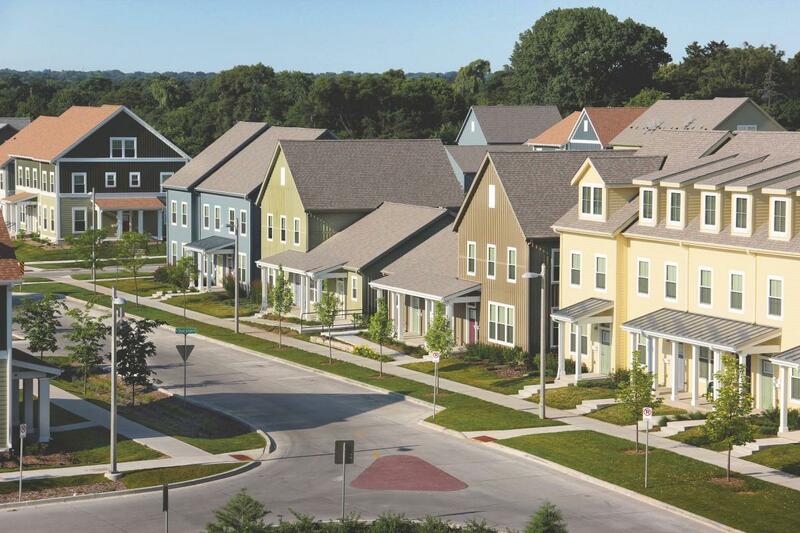 By transforming a dilapidated project into a healthy and sustainable community, Westlawn Gardens exemplifies the principles of the Charter of the New Urbanism, according to architect Cristobal Valdez. In 2014, Valdez served on the awards jury that recognized Westlawn Gardens with a CNU Charter Award. An intersection in Westlawn Gardens. Source: Courtesy of Torti Gallas and Partners. 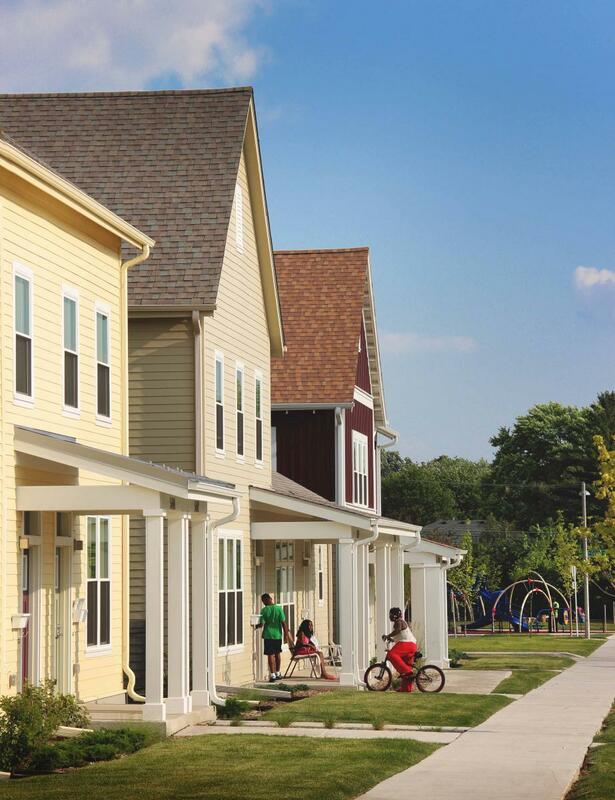 Top Photo: The Westlawn Gardens Neighborhood, 2014 Charter Award Winner. Source: Courtesy of Torti Gallas and Partners.